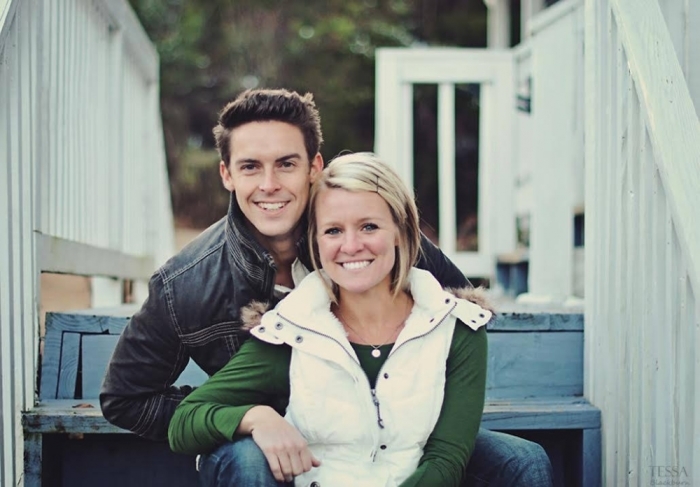 Amanda Blackburn, the pregnant 28-year-old wife of Resonate Church Pastor Davey Blackburn who was fatally shot in the head during a home invasion last Tuesday, was also sexually assaulted. Although the sexual assault hasn't yet been officially confirmed by the Indianapolis Metro Police Department, several sources close to the investigation told WTHR that DNA evidence could play a major role in identifying Amanda's killer. The sources noted that during the burglary, Amanda not only put up a fight, but was also tragically sexually assaulted. The WTHR report further noted that police spoke with four persons of interest Thursday and one of them was identified as 21-year-old Jalen Watson, who was arrested on a parole violation after he spoke with police. Amanda and her husband moved from South Carolina in 2012 to start Resonate Church. On Nov. 10, while Davey was away at the gym, police said his wife was shot in the head during the invasion. She succumbed to her injuries the following day, along with her 13-week-old unborn daughter, Everette "Evie" Grace Blackburn. According to the WTHR report, someone used one of Amanda's bank cards at a gas station at W. 71st Street and Michigan Road in Indianapolis and there is surveillance video of the person using it. Police announced at a news conference last Friday that the suspect they are looking for is black and is between 5-foot-6 and 5-foot-9 inches tall. It is believed the suspect might have seen Davey leave home about 6:10 a.m. last Tuesday to go to a gym. The suspect had apparently burglarized a house two doors away. A gun that was found near the couple's home is also being analyzed. "Investigators continue to follow up on all investigative leads in Amanda's murder. We continue to talk with individuals who may have some knowledge of the case," the IMPD said in a statement to WTHR Thursday. Speaking during an interview with "Fox & Friends" from Anderson, South Carolina, Thursday, Davey Blackburn, whose young son was sleeping upstairs during the attack on his wife, disclosed that being a suspect in his wife's death was tough to "swallow." "I certainly understand that that's always the first place that they're going to investigate. I guess that was supposed to be expected on some level. But on another level just going through this trying time with our family it was definitely difficult to kinda even swallow that," he said. "And so for us we don't have anything to hide. We trust the investigation that's going on. The detectives have been extremely gracious throughout this whole process to us. They've been really great. They've kept us up to speed …," he added. When asked to talk about his wife, Blackburn described her as someone who was loved by everyone and was "in love" with Jesus. "Amanda was loved by everyone. The most important thing about Amanda was that she was absolutely in love with Jesus Christ. She loved Jesus and because of that, because Jesus had changed her heart and Jesus was living inside of her, He was living through her, she loved everybody around her," said Blackburn. "She had this incredible way of seeing potential in people that most people didn't see in themselves. And I feel like she did this in everything in her life," he continued. "One of the things that she's been doing over the past four years was building this business where she restored furniture. She would take what looked to be trash and she would turn it into something that was beautiful, that was treasure," he added. He said his family is now drawing hope from their faith in Jesus that Amanda is now in a better place. "I'd joke with her all the time. She'd have me picking up furniture off the side of the road and I'd be like 'babe, you can't do anything with this. And she's like, 'just trust me. Gimme time and I'll make it into something beautiful.' And I think that's what's so great about even what Jesus has been showing us in the process of all of this is that we serve a God, Jesus Christ, that takes what the world says is a tragedy, what the world says is trash and in time He makes it beautiful. And I love the fact that now she's in Heaven with Jesus. She sees the end result," said Blackburn. "That's where we get hope in this whole situation. It's a hope that doesn't make sense. It's a peace that doesn't make sense even to us. And I know to the world. But we know that she loved Jesus, we love Jesus and we have that perspective that has really helped us to derive strength from this whole thing," he added.